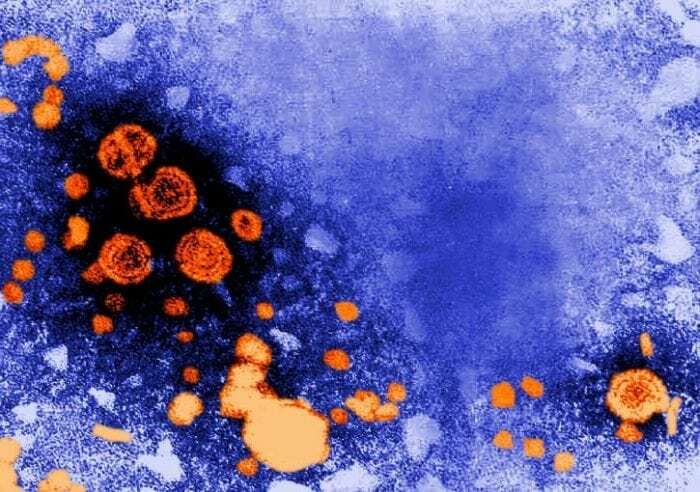 Chronic hepatitis B virus (HBV) infection places patients at high risk of death due to liver cirrhosis and hepatocellular carcinoma, and it remains a global public health issue. The receptors anchored on the cell membrane are generally key proteins for virus binding and entry, and they are also known as important therapeutic targets for various infectious diseases. Human sodium taurocholate co-transporting polypeptide (hNTCP) is a nine-transmembrane transporter consisting of 349 amino acids with a molecular mass of 56 kD. hNTCP has been demonstrated as a functional receptor of HBV and features essential high binding affinity for HBVpreS protein. Cellular membrane vesicles (MVs) are directly formed from the natural cell membrane outward budding, they can reflect the antigenic content of the original cells, providing a new strategy for natural protein/vaccine delivery systems. We thus engineered MVs to display hNTCP receptors (hNTCP-MVs) and validated the antiviral effect of hNTCP-MVs to trick HBV both in vitro and in vivo. We confirmed that the nanomimics are able to recognize and bind to the dissociative HBV virion with high specificity and sensitivity. These findings highlight the novel roles of biomimetic binding strategies in which the unique capabilities of viral bio-interfacing are employed against HBV infection. To obtain hNTCP-MVs, cell membrane derived from hNTCP-overexpressing cells was collected by a previously reported freeze-thaw process. After sonication and centrifugation, major hNTCP-MVs were harvested. A series of verifications demonstrate that hNTCP-MVs engineered with “mimics” of the multiple transmembrane HBV receptors are able to recognize and bind to the HBV virion with high specificity. To investigate the potential of hNTCP-MVs blocking the binding and entry into host cells of the HBV virion, hNTCP-overexpressing cells (HBV infection cell model) were incubated with hNTCP-MVs at various concentrations immediately after HBV infection. We detected and analyzed HBV DNA and surface antigen (HBsAg) to measure the viral load in this study. In contrast to the controls, treatment with a 0.1 μg/μL dose of hNTCP-MVs significantly reduced HBsAg by 75.7 ± 2.5% (p < 0.001) and HBV DNA by 72.8 ± 1.6% (p < 0.001) in the supernatant 3 days post-infection (3 dpi). The HBV suppression effects of hNTCP-MVs were dose-dependent and were prolonged to 6 dpi. Next, we evaluated the antiviral effect of hNTCP-MVs in vivo in human liver chimeric mice (Hu-FRGS), a classic mouse model of HBV infection. In contrast to the Control-MVs treatment, the hNTCP-MVs treatment reduced serum HBsAg and HBV DNA levels by over 90% at 20 dpi. This indicated that hNTCP-MVs can effectively prevent HBV infection and the progression of viremia. Importantly, immunohistochemistry (IHC) staining showed that hNTCP-MVs treatment prevented the widespread expression of HBsAg and HBV core antigen (HBcAg) in chimeric human liver lobes. In addition, the treated mice showed normal physiological characteristics and liver function, suggesting the safety of the hNTCP-MVs regimen. In summary, we successfully developed a new class of bioengineered nanodecoy anchoring natural HBV receptor (hNTCP) for use against HBV infection. The results show promise for inhibiting viral-host cell attack, suppressing viral load, and preventing viral spreading both in vitro and in vivo by mimicking a natural HBV infection process. Compared to soluble receptor proteins, MVs bestow natural properties of the source cell membrane in a straightforward manner, including unique virus bio-interfacing capabilities and lipid-based structures. Furthermore, the approach avoids the potential risk of inhibitors and antagonists which might subvert the normal cellular functions of receptor proteins by inactivation of host receptors. Most importantly, to target different kinds of pathogens, the receptor can be changed, modified, and even further co-expressed by genetic engineering methods. Thus, the flexibility of bioinspired nanotechnology could potentially allow the prevention and treatment of multiple infectious diseases in future clinical translations. These findings are described in the article entitled Bioinspired Artificial Nanodecoys for Hepatitis B Virus, recently published in the journal Angewandte Chemie. This work was conducted by Xuan Liu, Lunzhi Yuan, Liang Zhang, Yalin Mu, Xiaoling Li, Chao Liu, Peng Lv, Yali Zhang, Tong Cheng, Quan Yuan, Ningshao Xia, Xiaoyuan Chen, and Gang Liu from the Center for Molecular Imaging and Translational Medicine. Gang is a research scientist at the Center for Molecular Imaging and Translational Medicine.